This statistic shows the average amount received per student through the federal student aid programs listed above for the 2017/18 academic year in the United States. 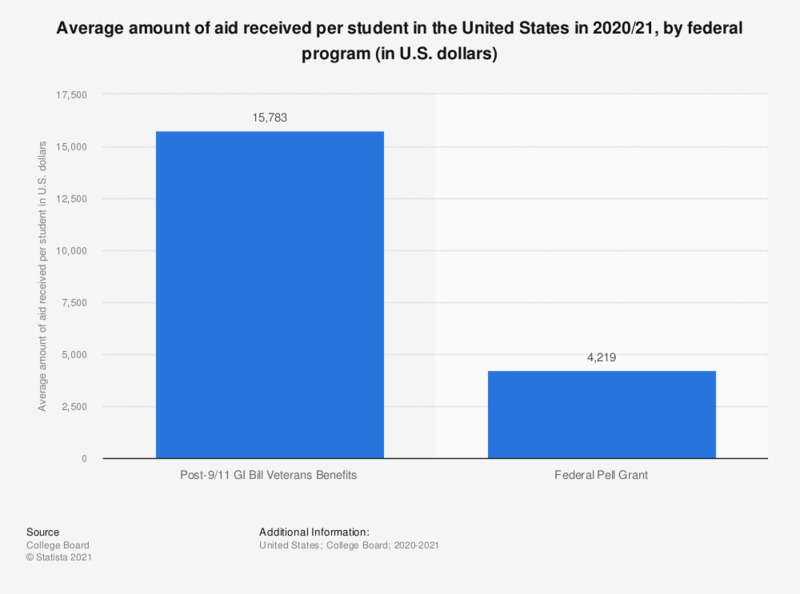 Students who were entitled to the Federal Education Tax Benefits program in the U.S. received on average 1,414 U.S. dollars each in the academic year 2017/18. Both undergraduate and graduate students are eligible for tax benefits, Direct Unsubsidized Loans, Perkins Loans, and Federal Work-Study (FWS). Direct Subsidized Loans were available to both groups in 2011-12, but were limited to undergraduates thereafter. Pell Grants and Federal Supplemental Educational Opportunity Grants (FSEOG) go to undergraduates only. How important do you feel is it to teach pupils at your school about how to protect their personal information?